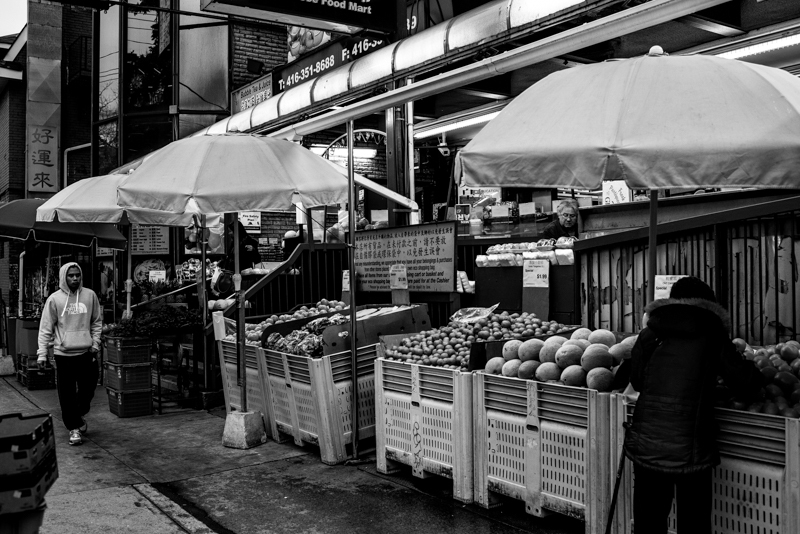 A fruit Market in Toronto’s Chinatown. If a person becomes disenchanted with the ups and downs of life this can lead, very productively, to the practice of insight meditation. This practice trains a person to continually bring the mind to the present moment. Instead of chasing sensual experience in the future or running away from a dark past, a person learns to enjoy what is happening right now. There is considerable pleasure to be had when shopping at outdoor fruit markets. It gives us a chance to enjoy the fresh air and the quiet company of others while going about our daily tasks. This is a prime opportunity to put mindfulness into practice as we carefully choose the fruits and vegetables that suit our tastes. When we bring our mind to the present moment in this way we don’t allow the simple fact of living to pass us by.